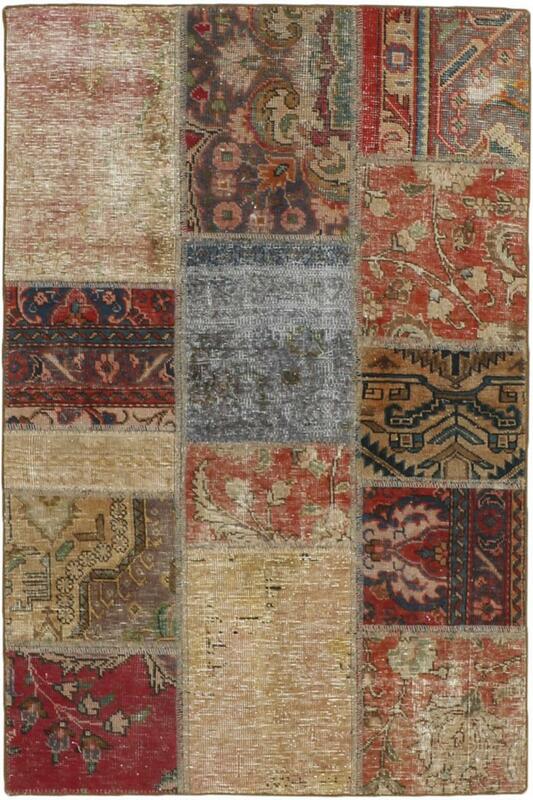 Vintage carpets from the orient represent a relatively new trend. This includes both new carpets that have been trimmed to a vintage look as well as old oriental rugs, that have been completely refurbished. 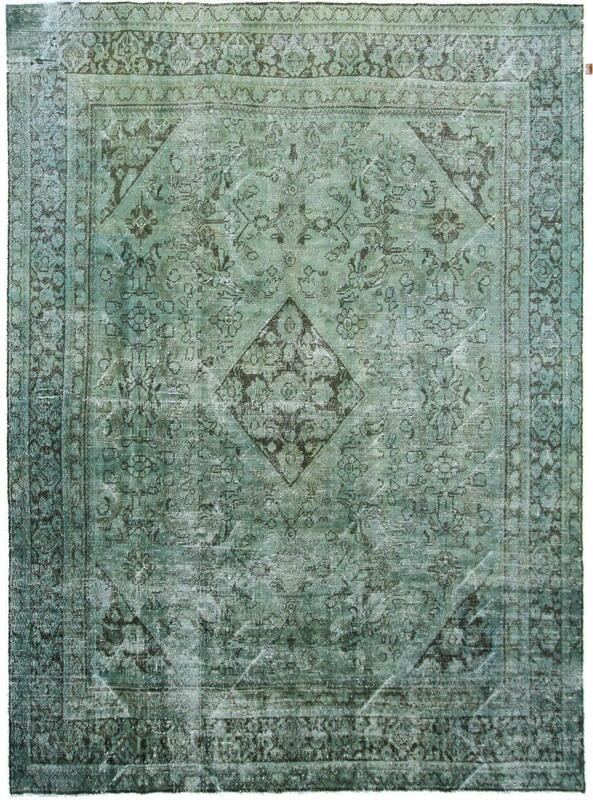 New vintage carpets are often washed with stone to preserve the style of faded colours of antique oriental carpets. However, since only the colours are adapted to a vintage look, you can quickly see on the surface that these are newly knotted carpets. Examples of such new vintage carpets include Ziegler rugs. They are designed entirely on the inspiration of Persian carpets and are knotted by hand in the Middle East. After production they often receive a finishing treatment to wash out or to bleach the colours. The situation is different with old oriental and Persian carpets, which were in use for at least 20 - 50 years and were then completely refurbished with the aim of creating a modern vintage style. Unlike antique or semi-antique Persian carpets, they do not try to restore the carpet to its original state, but rather to design a new style. Modern vintage carpets from the orient, for example, are overhauled and almost completely discoloured. This lowers the pile down to a minimum. The carpets are then dyed with modern new colours and patterns. Thus a completely new carpet in modern vintage style is created from an old hand-knotted oriental carpet with a long history. The picture on the left shows such a patchwork carpet, which was assembled here from parts of different Persian carpets. Examples provided from a selection of over 900 original vintage oriental rugs by Nain Trading from the Speicherstadt in Hamburg. 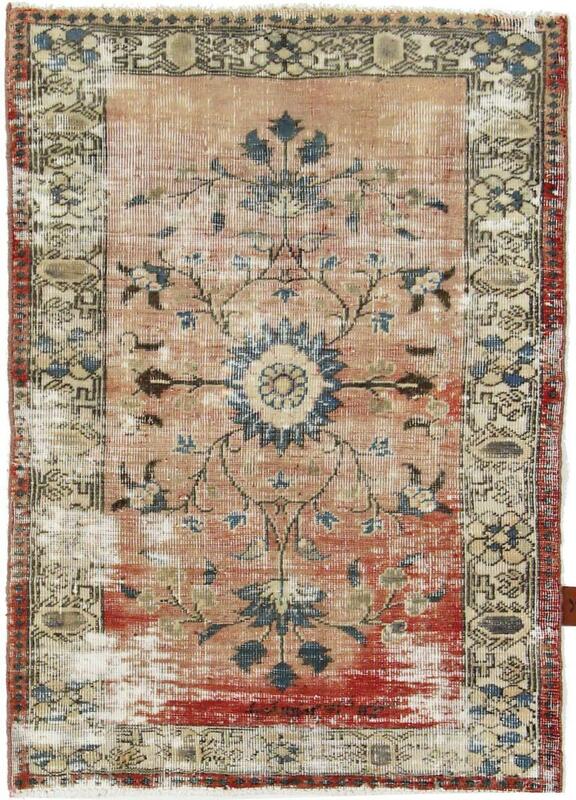 Nain Trading has one of the largest ranges of hand-knotted oriental rugs online.